Get started in decoupage with trial size bottles of an old favourite. Set includes: Sparkle, Paper Matt, Original Gloss, Original Matt and Outdoor. Set of 5 bottles each are 2oz size. 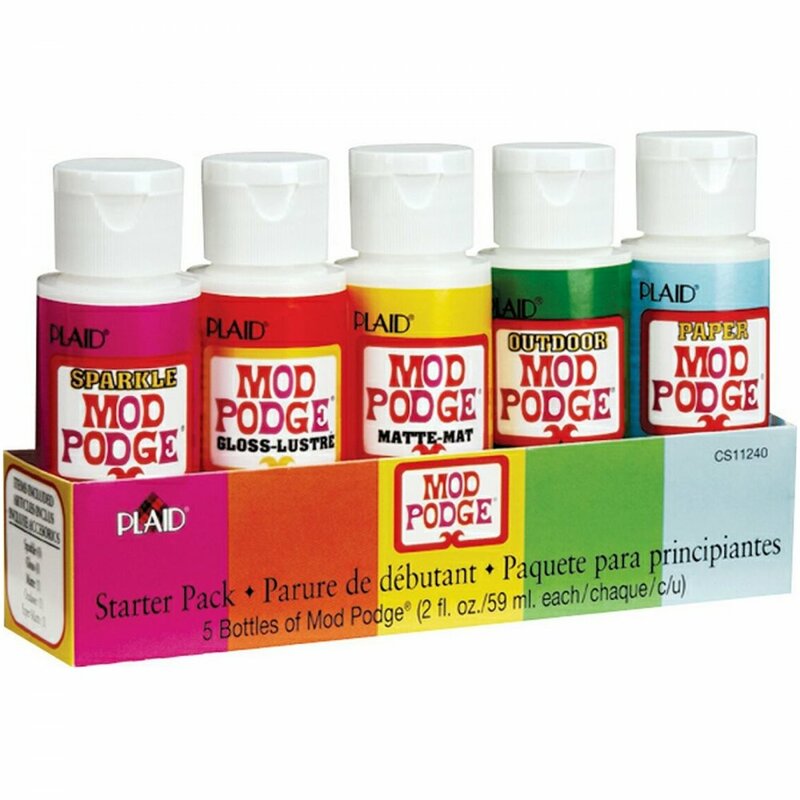 Showing 3 Plaid Mod Podge Starter Set reviews. Average rating of Excellent. Would you like to write a review? A starter set is a great idea. Have only tried the outdoor and the glitter. I am hooked on the glitter! Great to get you trying new things! I had watched the on line Mod Podge pair doing different crafts using these different types of Mod Podge, so seeing this mini set was perfect to get me into trying new things. Since buying this set, I have had to buy them in the larger sizes, and a few of them, just incase they ever run out! 5***** Mod Podge once again. Love this brand! Very good value for money. I love the fact I could try different types of glue.